DISCLAIMER BEFORE THE PITCHFORKS ARE FORKED, OR ER, PITCHED (?) IN MY DIRECTION: By ‘reviewer’ I do not mean ‘a malicious troll’. I mean a reviewer who is stating their opinion on the book in a fair, truthful, and often amusing way. I am not a villain, cackling away behind the anonymity of a computer screen. However, I must admit that I like to read sparsely starred reviews. Yes, those ones. The ones that can often state – in clear, precise words – why the reviewer views the book as a tragic waste of tree, space, time, money, and so forth. I drink that stuff down like a toddler who’s just discovered Coca-Cola. If the book is a fantasy and the reviews are mostly positive – I’ll listen. 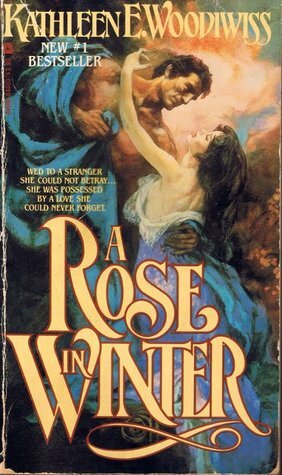 But if the book is a romance …. then I am wary and proceed with caution. If all the reviews are full to the brim of gushing words about the swooning romance, dreamy heroes, wonderful adventure, fantastic writing etc etc etc … I won’t take it at face value. b) … the reviews can be extremely entertaining. Sometimes, a reviewer can find a book – any book – to which they suffer an allergic reaction. This can provoke a beautiful response – full of sweeping prose, breathtaking analogies, and excellent use of gifs. In short, it’s terribly interesting to observe this kind of reaction; reviewers are often very eloquent when they decide that this book is not for them and here is why etc. I grab my popcorn and settle down to read, mesmerized. I don’t always trust people who love every. little. thing that they read. Because I am a little cynical; how can I believe that this is the BEST BOOK EVAH!!! if you’ve said that every other book you’ve read is the BEST BOOK EVAH!!!? If you are honest in your reviews, I can measure the bad against the good. You hated this book? You’ve stated the reasons why? Well maybe I agree with you – maybe I’ll search for your other reviews; for the books you really liked. Maybe I’ll like them too. All right. You can … you can bring out your pitchforks now. I read a lot. And when I find certain things (Tropes? Themes? i no do wurdz) in fiction … I perform an inner happy dance and gobble the book down whole. Here are a few reasons for such exuberance, expressed in words. And gifs. Gifs are gifts. I … have a dream. A dream that a healthy marriage will be portrayed in fiction; where the lead character would be married and that this would simply be the backdrop to the actual story. Sometimes it’s just nice to read of a stable relationship; to not get readerly stressed when oh, no! look! they’re not communicating again. Gee, I feel so shocked. And sure – there can be some conflict in their relationship but not major conflict. There is a difference. 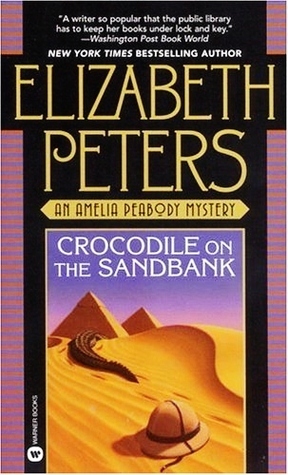 The Amelia Peabody Series by Elizabeth Peters: think archaeology, romance, humour, lots and lots of dead bodies, and Egypt. And a cast of characters you will grow to love over a nineteen book series. Though, you know, it should come with a warning. find your very own Radcliffe Emerson. I cannot respect characters that have good intentions, but are side-tracked by a pair of bootiful, bootiful [insert colour here] eyes. If you’re going to take down an evil emperor, stand by a resolve, keep to your morals, or read every single book in the Great Library of Alexandria … then you should do it. 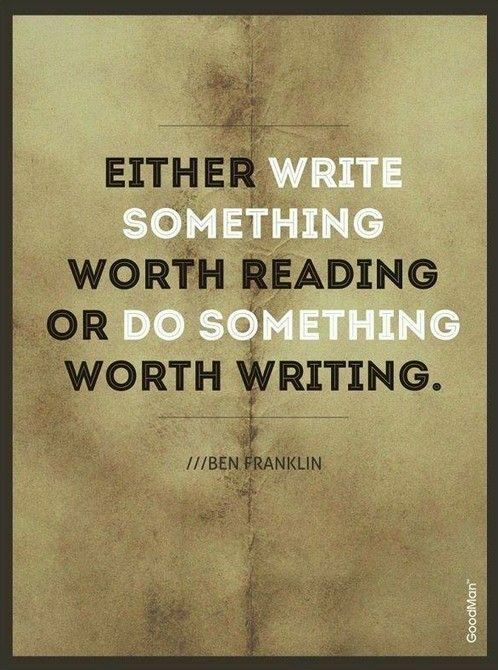 You should just darn do it. Kill the bloke. Don’t eat that ice cream. Kick temptation in its face. Invent time travel. Do not, I beg you, think, it doesn’t matter that he killed my best friend and thousands of innocents, but I can’t kill this evil king because he might possibly have a Tragic Past and more depth than a puddle. Feelings. Bah. So much selfishness is committed in their name. 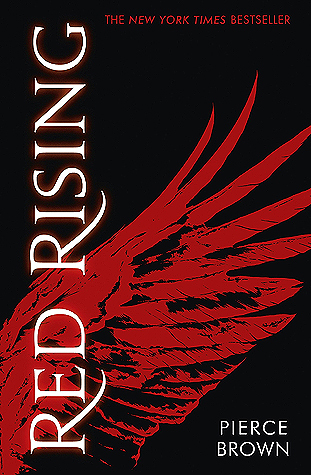 The Red Rising Series by Pierce Brown: Darrow needs to bring down an entire class system. And by golly, he just goes for it. The series is bloody and brutal, but I like it. I like it a lot. Jane Eyre by Charlotte Brontë: this is one of my favourite classics. Because Jane Eyre? She stands by her principles – even though it means she loses the man she loves. If you tell me a character loves just for the sake of love and oh he said ‘I love you’ so they definitely ARE IN LOVE AND IT’S TWU WUV AND YOU WILL BELIEVE ME. JUST BECAUSE I SAID THEY ARE … I won’t always be able to see it. I like watching a romance grow – slowly, steadily, quietly. The sort that creeps up on a character until they think: oh, that’s what it is. Sure, ‘love at first sight’ can happen; in fiction and real life. But I adore reading fiction where you can believe and see that maybe, just maybe this is love – not because the character declares it every. other. page (I could say that I am a dragon-slaying astronaut, for sure, but that don’t make it so) but because we – the reader – have watched it grow. 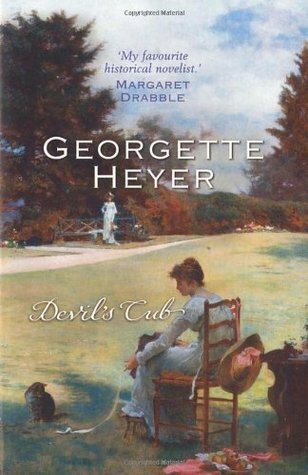 The Devil’s Cub by Georgette Heyer: I view this book as one of the most wildly romantic books I’ve read, purely because of one, rather ridiculous statement that Vidal passionately utters in a climactic scene. The action begins with the lead kidnapping the heroine. The heroine isn’t impressed. She shoots him. And thus marks the beginning of a beautiful relationship. Harvest of Rubies by Tessa Afshar: containing a cringeworthy scene full of second-hand embarrassment, this book has a marriage of convenience that changes into something more as the heroine grows and the lead realises that hey, maybe he kinda leapt to conclusions. I’ve been quietly editing Insalted for some time now. However, only recently did I bite the bullet and print the whole thing out. There’s a lot of it. I don’t know if it’s my dramatic usage of paragraphs, the halts for Bolded Lists (I haven’t a better name for them), or if I’ve completely got the spacing wrong, but I’ve ended up with 334 pages to edit. Usually, I just employ a liberal use of a pen, butchering this and scribbling out that. HOWEVER, with this manuscript, I have a better plan. As per usual, I butcher … but I also use highlighters and sticky notes. I have four colours and these stand for a sub-plot, a mega-plot, background info, and THE ROMANCE THREAD. You can look back on a butchered page and think: my gosh, this looks legit! Maybe I am a Proper Writer after all! It teaches you to never underestimate the importance of the highlighter in validating your career choices. You can actually keep track of each plot line – how much of this plot is in this chapter? Do I need more? Less? How much ROMANTICLE ELEMENT!!!! is in it? If you are a visual person, you can sum up what happens per plot line at the beginning of the chapter, and strike it through with the appropriate highlighter. It looks very pretty! And is useful. That’s 100% my reason for using them. Now, they hang about like I did around other earthlings, wanting to be cool and useful but never quite making it. I have highlighters, sticky notes, pens, hair things, soap, books, tea, an empty purse, and a laptop for music just chilling on the desk with me. Recently, I butchered into the wee hours and … I felt like a Proper Writer. I was haunted and hunched over with a blanket about my shoulders, eyes stinging, hand wielding pen and highlighter with fervor. It was a wonderful feeling; I am doomed to plenty more of it. SIDE NOTE: I’ve discovered that THE ROMANTICLE ELEMENT!!!!!! comes more easily when I’m tired. I haven’t re-read what I corrected last night, but I’m sure that it’s all coherent.